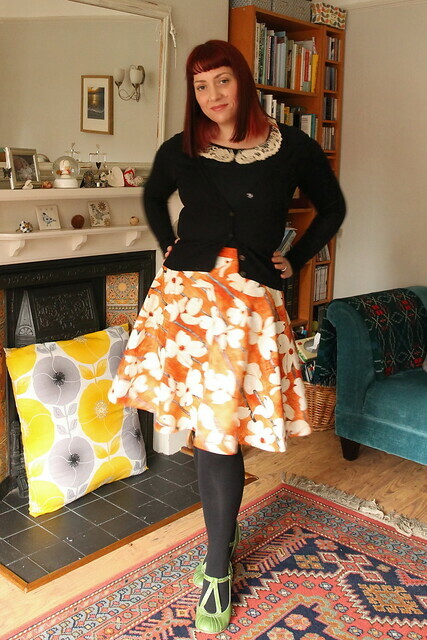 circle skirt, originally uploaded by Lazy Seamstress. 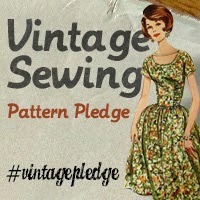 I've sorted through my current patterns and narrowed it down, I definately want to make the Blackmore shirt dress and the Simplicity coat, (in time for next winter), but began the pledge yesterday with a simple pattern for a circle skirt, which honestly feels a bit like cheating. 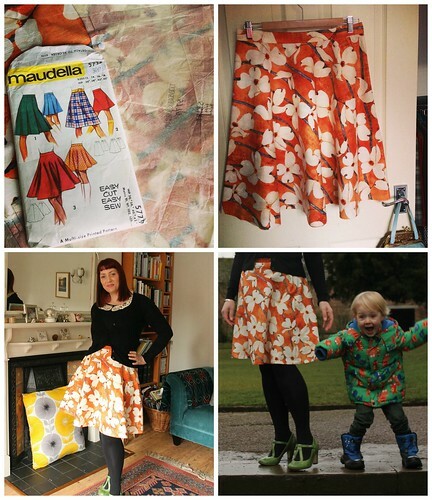 I used the same Maudella pattern I used for the skirt on my wool dress. The fabric is a quilting cotton from stash, zip and button for waistband also from stash. A satisfactory make following a stressful and busy week. I don't know about others, but sometimes I need a quick simple project to ease my mood. 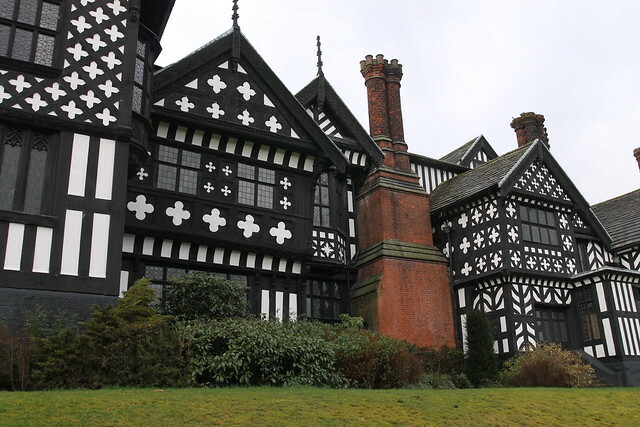 This morning, Woody, Ernest and I headed off to Bramall Hall to take some outdoors shots. 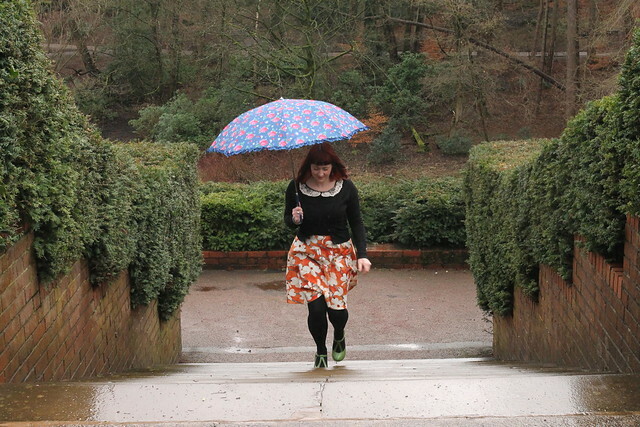 I'm envious of other bloggers with their fabulous outdoor photoshoots, but sadly I can never match up. Today a combination of poor light, rain, a toddler photobombing every shot, a teenager phoning from home every two minutes, my shyness around dog walkers and Woody's inability to understand the kind of shots I'm after, ( Not his fault, we think differently, he just doesn't see things the way I do.) means that despite taking several hundred photos I struggled to find any I'm happy to use. I shouldn't complain, at least the toddler photobombing makes me laugh! I think these are my favourite shoes too. I love the toddler photobombing! cute for a while certainly. toddler photobombing is brilliant. he focuses attention towards that pic, the angle of his legs is genius and his anorak matches orange skirt & green shoes. You'd pay a lot for a prop as good as he is! Ha Ha! I like your thinking! Gorgeous skirt! 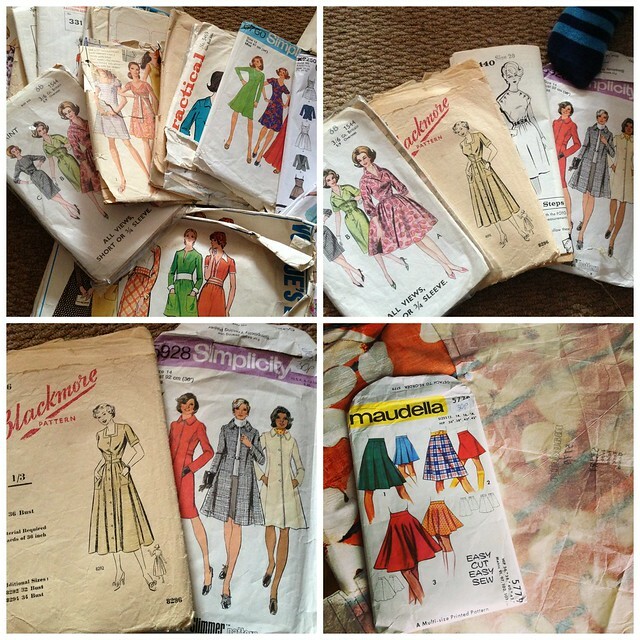 I love the colours of the fabric. 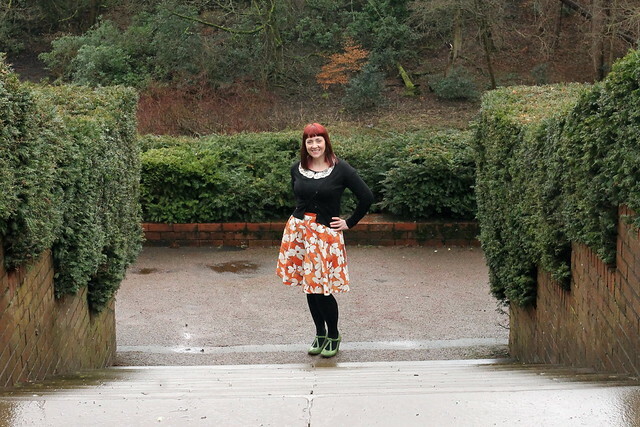 I love how you've styled it with black cardigan and tights and those fabby green shoes!